How to pamper your skin and get it ready for spring? While your spirit may be singing the praises of spring, it’s also likely your skin is still crying out with the winter blues. Your skin on your face and body may appear and feel dry, scaly, rough, with spots on heels, knees, and elbows as well as stressed- out, overheated, undernourished. Spring is the perfect time to do something about it and help our skin regain lost moisture, elasticity and healthy look. Nothing is worse for skin than a long, cold winter and along with it the low humidity, freezing air, hot air, less fresh air. Sonya® by Forever Living Products is the essence of more than just beauty: it is an expression of rejuvenation, admiration, and love. The collection’s formulation of ingredients including aloe vera, fruit extracts, white tea and superior moisturizers give back to your skin. They help to rejuvenate and moisturize your skin like never before. The Sonya® Skin Care Collection contains five fundamental elements for cleansing, moisturizing, and maintaining overall skin condition and appearance. Aloe Purifying Cleanser, Aloe Refreshing Toner, Aloe Nourishing Serum, Aloe Balancing Cream, and Aloe Deep-Cleansing Exfoliator work together to leave your skin looking fresh and radiant. Indulge in this five-step process, and treat your skin to the luxury it deserves! Cleanse twice daily with Aloe Purifying Cleanser. Tone and freshen twice daily with Aloe Refreshing Toner. Apply Aloe Nourishing Serum twice daily. Apply Aloe Balancing Cream twice daily. Exfoliate approximately 2 times weekly with Aloe Deep-Cleansing Exfoliator. At Forever, beauty is more than skin deep… in fact, it’s real deep! The Sonya Colour Collection is one of the only aloe vera-based cosmetic lines in the world that delivers skin care and makeup in one. Sonya’s unique combination of natural ingredients, from pure aloe vera and antioxidant vitamins, to marine extracts and chamomile, can help protect, nourish and soothe the skin. 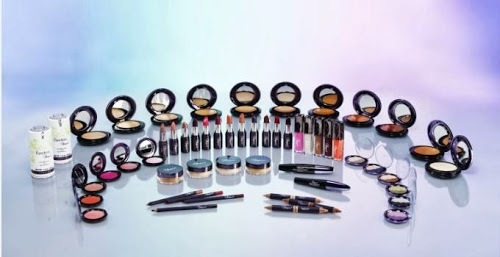 This magnificent collection celebrates the rich colors of life with hues for every skin tone and every mood, and has a versatility that allows you to easily take your look from day to night. Let Sonya help you take the guesswork out of looking beautiful! Infused with the goodness of aloe, as well as the latest innovations that nature and science offer, flawless by Sonya™ products empower women from around the world to explore and express their individual perception of beauty. Visit http://www.ForeverLivingDream.myFLPbiz.com to research more or to pamper your very own skin with the goodness of aloe vera.